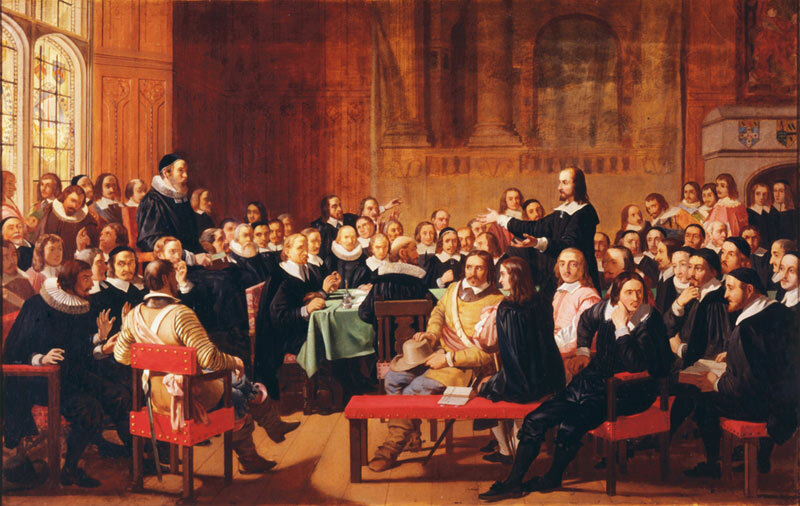 Introduction: This begins a new series through “The Directory for the Publick Worship of God.” The Directory was prepared by the Westminster divines in an effort to purify worship within the English speaking Protestant churches. It was adopted for use in Scotland on February 3, 1645. Though it did not ultimately succeed in supplanting the Book of Common Prayer in the Church of England, it contains many useful insights on the conduct of corporate worship. This series will present the Preface and the 15 articles in the Directory with some comments and reflections. 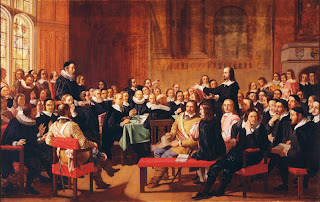 Howbeit, long and sad experience hath made it manifest, that the Liturgy used in the Church of England, (notwithstanding all the pains and religious intentions of the Compilers of it,) hath proved an offence, not only to many of the godly at home, but also to the reformed Churches abroad. For, not to speak of urging the reading of all the prayers, which very greatly increased the burden of it, the many unprofitable and burdensome ceremonies contained in it have occasioned much mischief, as well by disquieting the consciences of many godly ministers and people, who could not yield unto them, as by depriving them of the ordinances of God, which they might not enjoy without conforming or subscribing to those ceremonies. Sundry good Christians have been, by means thereof, kept from the Lord's table; and divers able and faithful ministers debarred from the exercise of their ministry, (to the endangering of many thousand souls, in a time of such scarcity of faithful pastors,) and spoiled of their livelihood, to the undoing of them and their families. Prelates, and their faction, have laboured to raise the estimation of it to such a height, as if there were no other worship, or way of worship of God, amongst us, but only the Service-book; to the great hinderance of the preaching of the word, and (in some places, especially of late) to the justling of it out as unnecessary, or at best, as far inferior to the reading of common prayer; which was made no better than an idol by many ignorant and superstitious people, who, pleasing themselves in their presence at that service, and their lip-labour in bearing a part in it, have thereby hardened themselves in their ignorance and carelessness of saving knowledge and true piety. It is interesting to note the distance the reformation had travelled by this point; indeed at the reformation preaching itself was banned as something which could not be safely entrusted to ministers. This is the origin of the Book of Homilies, which served all preaching needs until such time as ministers could be tested and licensed to preach. By the time the Directory is introduced such confidence has been enjoined to the ministers that they are entrusted not only with preaching but also with setting out the liturgical detail itself. The concept I believe to be good and proper, yet the English experience with the Book of Common Prayer has however shown that even with a small margin of flexibility some ministers will hasten to introduce the most repugnant of heresies; indeed the first things to appear are usually prayers for the dead, an epiclesis, and a concept of eucharistic oblation. In many ways, it is good to tie the hands of ministers, that they find it hard to sin with them!